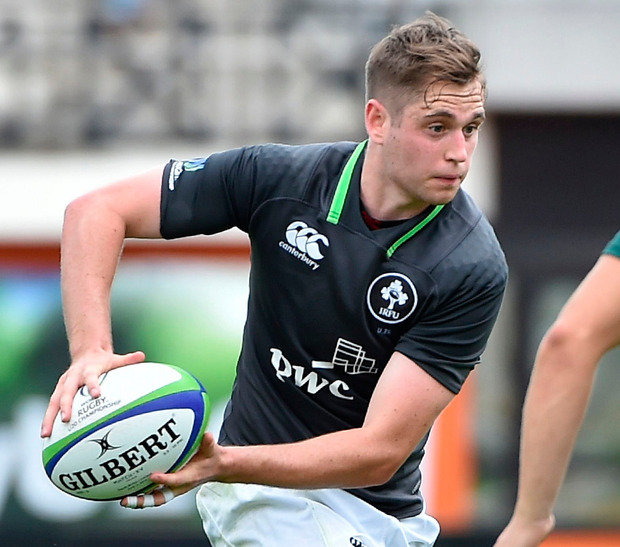 It won't be easy getting Ireland prepped for their final World Rugby U-20 Championships pool game against Georgia next Thursday, after two gruelling and bitterly disappointing games, but coach Noel McNamara has full confidence in his charges to deliver. 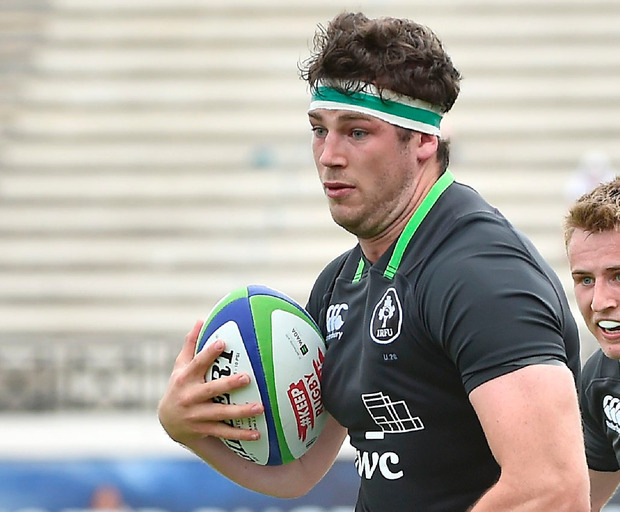 It wouldn't have taken a lot for Ireland to be sitting on two wins rather than two losses, but against France last Wednesday night, and again yesterday, they were blitzed for scores when the opposition got periods of dominance. After a dreadful start which saw them fall 12-0 behind, Ireland recovered to trail by just two points at the break and when they hit the front five minutes after the restart, things looked good. 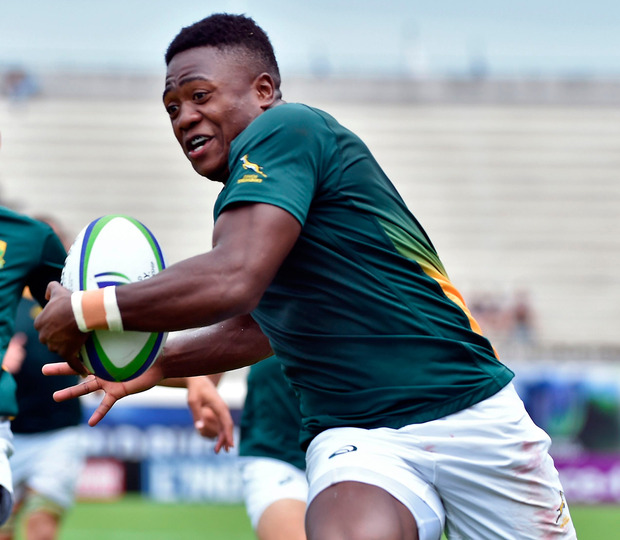 South African centre Wandisile Simelane, who revelled when switched to the wing when they were hit with a spate of injuries, had other ideas and he ran in a second-half hat-trick to break Ireland's hearts. It leaves Ireland battered and bruised after two demanding contests - needing to regroup to face Georgia next Thursday - knowing the best they can do now is a mid-tournament finish. And having come to France with justifiable hopes of being involved at the business end of the competition, they will be keen to avoid a relegation dogfight. McNamara, though, is confident they have the composure to digest these two defeats and get an upward turn in fortunes. "Of course we are disappointed with a second defeat, but the priority now is to recover and prepare for Georgia," said McNamara. "We are disappointed with the outcome, but it's hard to be disappointed with the boys' effort. They put in an absolutely monumental shift there against an enormous South African side. "They are a great bunch of lads, they have worked really hard and teams of lesser character would have suffered heavy defeats in both those games." Ireland made it hard on themselves from the outset, conceding a try inside less than a minute of the start when scrum-half Johnny Stewart had a clearance blocked by his opposite number Zak Burger. "It was the worst possible start we could have had. We just didn't organise that exit. To get a block-down and concede seven points within 40 seconds is certainly not what you need against South Africa," said McNamara. "We rediscovered our composure really well. We kept the ball really well and limited their opportunities. We were really unlucky at half-time not to go in ahead." South Africa's super pack also got on top and Ireland were on the back foot for most of the opening quarter, and it was no surprise when they extended their lead through left winger Muller du Plessis on 20 minutes. Ireland didn't panic and a penalty from Conor Dean from 40 metres settled them and they took charge before the interval. The Irish pack became more effective and captain Caelan Doris peeled away from a scrum to score five minutes from the break. 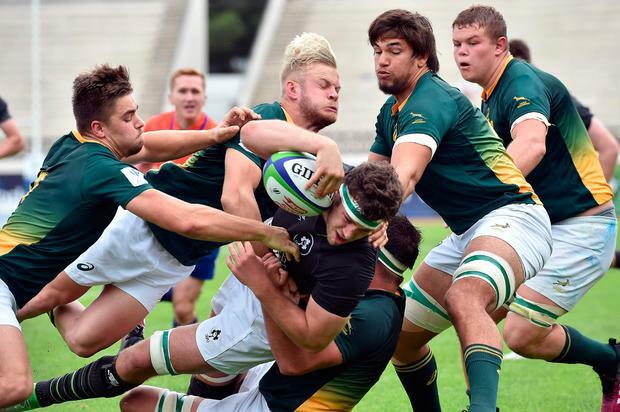 The Baby Boks lost replacement lock PJ Steenkamp to a yellow card and it seemed that Irish winger Tom Roche got over after a quickly tapped penalty, but the try was correctly ruled out by the TMO after it was spotted he dropped the ball in the tackle. That left it 12-10 to South Africa at the break and while they almost scored again inside a minute of the restart - Irish full-back Michael Sylvester got back to deny Tyrone Green - it was Ireland who took control. They looked set for victory when Doris put Sylvester through and a deft inside step from the Trinity player was enough to take him in under the posts. Dean's conversion made it 17-10 and it seemed that Ireland were poised to pull away. But it was South Africa who took over after that and centre Simelane, having switched to the wing, broke Ireland's hearts with a devastating display of finishing. He levelled the game at 17-17 on 52 minutes. The next score was always likely to be the clincher and it was Simelane who seized the moment. He completed the job when he wrapped up his hat-trick in the closing minutes.